Welcome to Dr. Smith's Orthodontic SVC Inc. 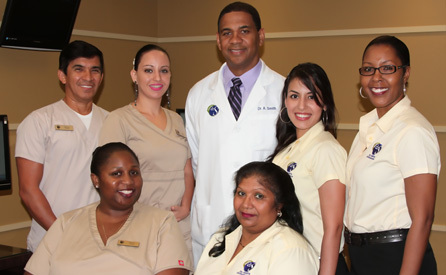 Welcome to Dr. Smith's Orthodontic SVC Inc., a respected orthodontic care provider in South Florida. Conveniently located in Plantation, Florida, our practice offers a fun and professional atmosphere for your orthodontic needs. Dr. Austin F. Smith's professional staff is friendly and easy to talk to, which is just the beginning of what our office has to offer. Dr. Smith is passionate about you achieving a healthy smile; that's why he offers impeccable service in all aspects of orthodontics, including many state-of-the-art appliances and revolutionary services. A modern alternative to traditional braces, the Invisalign® system straightens your teeth using a series of clear, customized removable appliances called aligners. No one will notice you are straightening your teeth unless you tell them! Not only do we provide cutting-edge procedures, we do it with a smile! Everyone is different, so at our office, every patient receives personalized attention and treatment. Thank you for visiting our website! 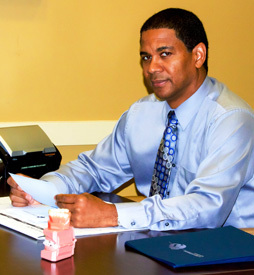 Please contact us via e-mail or call us to schedule a personal and financial consultation. Thank you for visiting Dr. Smith's Orthodontic SVC Inc. Have a wonderful day and take care!